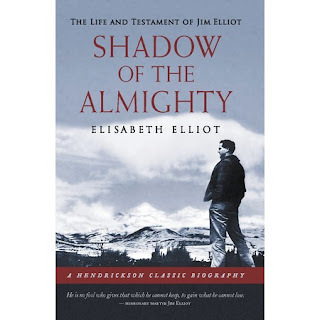 This rich classic edition of Elisabeth Elliot's SHADOW OF THE ALMIGHTY, published by Hendrickson in their Hendrickson Classic Biography series won't be available until later this spring but you can still find earlier editions. What challenging reading for those who aren't satisfied with the status quo of daily living! Are you resting in the shadow of the Almighty?